This week Minja, DA Buzzing’s “Queen Bee,” is setting up a new computer network for various computers. Therefore, Weekly Wrap is a little shorter than usual. We’ll be back up to full operation next week if all goes well. Thank you for your patience. David Archuleta recently told Billboard that his next album would contain more “lively grooves” than his 2008 debut, and the lead single from the record, “Something ‘Bout Love,” delivers on the 19-year-old’s promise. Blippy synths (surely inspired by Owl City and its forebears) set the stage for a surge in tempo, and Archuleta’s sweetly naïve tenor is now awash in power-pop production and even some obvious vocal effects. The result is double-edged. Fans who followed his “American Idol” journey might miss his unadulterated tone that was best showcased by ballads, but there’s no question that “Something” is a more radio-friendly vehicle for the 2008 runner-up to grow his base. The sophomore album is the true test of any “Idol” graduate’s ability to fulfill his or her potential, and Archuleta’s latest shows he’s up to the task. …Pre-orders for Other Side of Down will begin July 20 at David’s website. People who pre-order the album will get “Something ‘Bout Love” as an instant download, and a “very special fan edition” of the album will be available for pre-order, as well. Declan Whitebloom has been tapped to direct the music video for “Something ‘Bout Love,” which was co-written by Archuleta, Sam Hollander, Dave Katz and Chris DeStefano and produced by S*M* & Sluggo. The single’s radio impact date is slated for August 2nd. 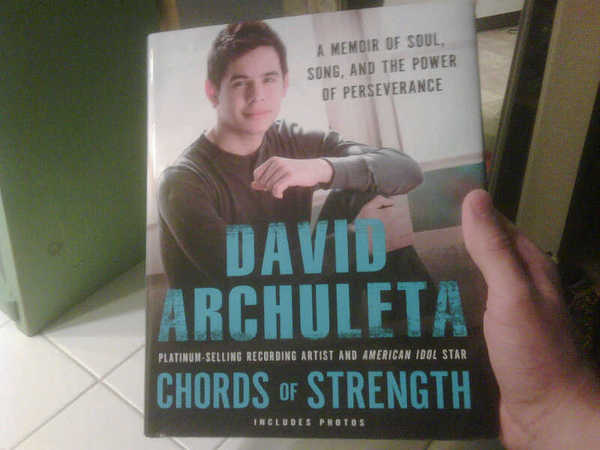 David Archuleta’s new single wins “Who’s on Top” Radio Contests! David’s “Something ’bout Love” won against New Boyz’s “Break My Bank” on 95.9 KISS FM in Wisconsin. In Florida, David’s “Something ‘Bout Love” beat out “Gimme Dat” by Ciara on 105.3 KISS FM. David Archuleta “Something ‘Bout Love” is a new single from the highly-anticipated sophomore album of the former American Idol contestant, and has a distinctly different sound than his 2008 self-titled debut album, as it mixes his usual pop sound with a dance vibe…. Behind The Video Shoot For “Something ‘Bout Love” PHOTOS!!! 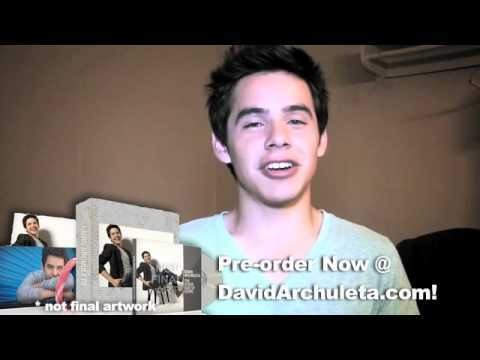 Announcing David Archuleta’s New Album “Other Side Of Down” and Release Date! The good news just keeps on coming people. This morning we are proud to announce the official album title AND release date of David Archuleta’s new album. The album will be called Other Side of Down and it will be available in stores and online on September 14th! 16 July, production for the “Something ’bout Love” music video, Los Angeles. 20 July, album pre-release with single download. > Awkward when the person crossing the street when you’re at a stoplight happens to have a giant camera and recognizes you lol. > So “Something ‘Bout Love” is officially available on iTunes and the website tomorrow! > @northernangel1 Haha no kidding. What made it really awkward was the person stopped in front of my car on the crosswalk to take a picture. > “Something ‘Bout Love” is officially out today! You can check it out on iTunes now!! > At the James Taylor and Carole King concert! > Ah nothing like good old timeless amazing music. > “Doing some interviews to start the morning! > Just went and watched the Pageant of the Masters in Orange County. Really interesting to see. > RT @VEVO @DavidArchie is in building today and is answering ur questions! What would u like to know? > Just finished answering questions over at Vevo! Now time for some lunch. > One thing that’s fun about traffic is watching people sing their hearts out in their cars. > Watched Inception tonight. Really cool movie! > We goin light it up like it’s dynamite. > In Utah the 24th of July is Pioneer Day, so happy Pioneer Day! Follow David Archuleta on Twitter. He has nearly 411,500 followers, but who’s counting? —I am!!! During the past fourteen weeks, David has averaged 4,570 new followers each week. The final wave of nominees has been announced for TEEN CHOICE 2010 airing Monday, Aug. 9 (8:00-10:00 PM ET/PT) on FOX. After the final wave of TEEN CHOICE 2010 nominees, “The Twilight Saga: Eclipse” and “The Twilight Saga: New Moon” lead the pack overall with a combined 17 nominations, while GLEE and Miley Cyrus each earned 13 nods and Taylor Lautner garnered 11. Vote for David Archuleta in the Choice American Idol Alum and the Most Fanatic Fans categories! David will make an appearance on the show. Thanks, WG! Glad you enjoyed the David Archuleta news. Some of it was a repeat, due to my schedule, but next week, I’ll have new news — haha!